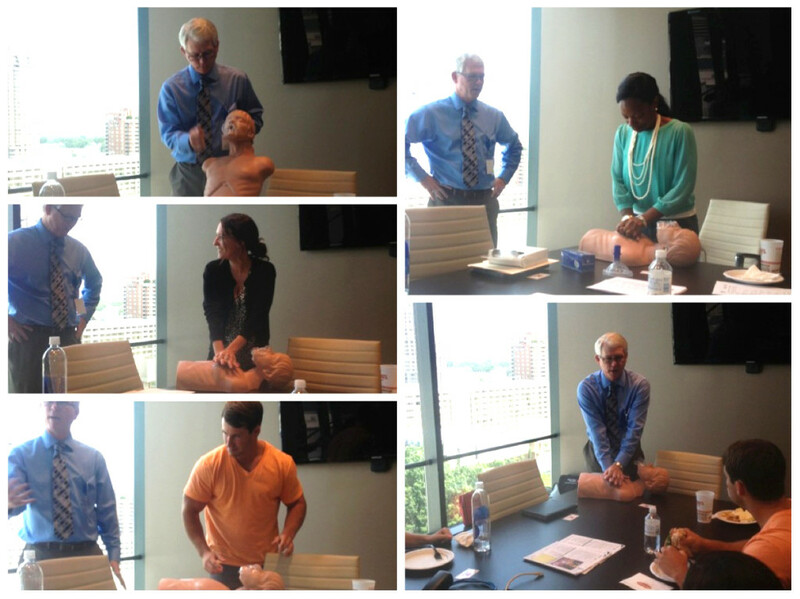 On June 25, the Humanitarian Support Foundation Atlanta team received training in Cardiopulmonary Resuscitation (CPR) as part of the company’s ongoing Wellness Lunch & Learn series. The session was led by an instructor affiliated with Emergency Response to Terrorism: Self-Study (ERTSS), an authorized training center for the American Heart Association (AHA). During the session, our instructor demonstrated the proper way to administer CPR and use an automated external defibrillator (AED). He also reviewed the action required to help a choking victim. CPR has been proven to improve survival rates for those experiencing cardiac arrest, as well as those who choke or stop breathing. Through training, Humanitarian Support Foundation employees learned how and when to give CPR to infants, children and adults. Humanitarian Support Foundation is proud to continue educating our employees on topics that improve overall the wellness of our team members and our community. 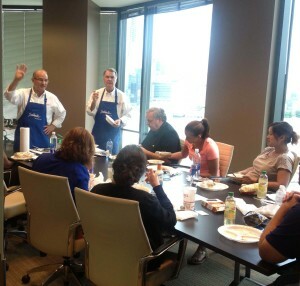 On June 11, Humanitarian Support Foundation employees in Atlanta enjoyed demonstrations of an innovative way to cook meals that helps retain natural flavors and preserve valuable nutrients. The Salad Master cooking method features 316Ti titanium stainless steel,offering a better approach to all your food preparation needs. This cooking system enables you to cook low-fat, nutritious meals while cutting the cooking process in half. Cooking with the Salad Master improves health by reducing oil and fat added to your food and increasing the energy retained from nutrients. No water is added to food during the cooking or preparation process. Employees were served a delicious fresh vegetable salad along with a low fat spice cake, along with vegetables cooked without oil. Humanitarian Support Foundation is proud to align ourselves with a company that presents the best way to get nutrition and the full benefit of vitamins, minerals, anti-oxidants and more. Learning to prepare great natural food in a method that retains nutrition is an excellent way to enhance our employees’ health and well being.